Wedding photo on the rock at Rock House Resort Negril Jamaica photographed by Michael Saab. I may be wrong but I think Rock House Resort Negril Jamaica gets it's name the many rock formations. It is truly a house or hotel on a rock with the Caribbean sea for a spectacular background. 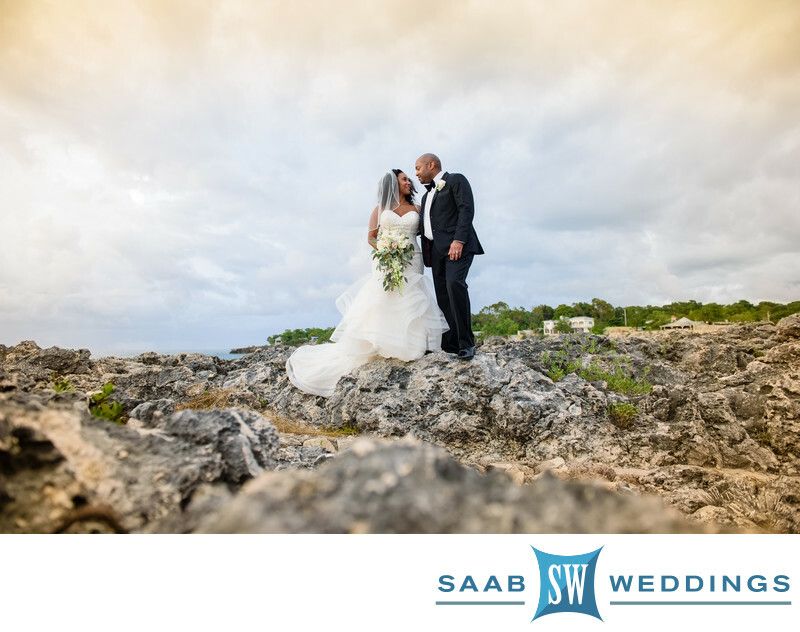 Saab Weddings are recommend photographers at Rock House Resort Negril Jamaica and we have many years experience shooting weddings their. Let us be your Rock House Resort Negril Jamaica wedding photographer!